Hens and pens. Not much action on a very quiet day. The main highlight a hens’ party in pretty pink. And also, the lady in the hat ahead of me in the race book queue bought a pen as well as a book. Four dollars. That’s $4! Why would anyone go to the races without a pen? Even the most casual of social racegoers would always need to put a line through the scratchings. I take three: my current favourite, a Bic Pro+, a back-up for the Bic, and a back-up for the back-up. Two placed horses and two relaxed females: Clover Lane in the fillies and Choose in the mares. 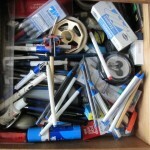 When I got home I counted all the biros in my desk drawer. Fifty-one. That’s $204! If the pen burn out rate is one every two months I should still have enough for the next eight or nine years! It’s out in the sticks, but I like Sandown. Every horse gets a chance. A cold wind and a small crowd, but they are out in force to cast an eye over the babies, the two-year-olds. Burnstone comes from last to first to street them in the colts and geldings. A windsucker apparently, which means I’m unlikely to ever back him. In the fillies I like both Godolphin horses, but pull the wrong rein and back Promenades instead of Pursuits. The horse is used up early and fades. I redeem myself on the mares with Pat Carey’s Elle Excite which drops out last but comes home hard to win. 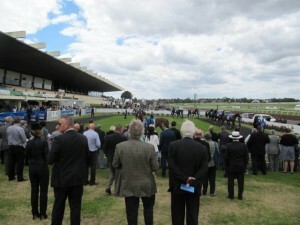 It was $2.30 the place when I placed the bet at one minute to go, but returned $1.90. Some plunge! But I leave the track in a good mood, proud to be an Australian. 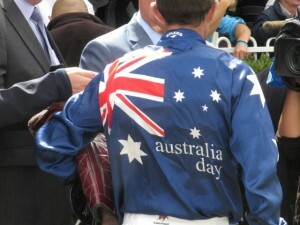 How I love those jockey silks! Home and I hear the terrible news about Sir Prince Philip. Abbott, what a brown-noser! I bet he’s a windsucker! I’m embarrassed to be an Australian! 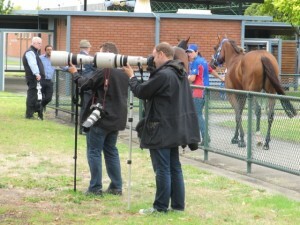 The media doesn’t usually pay much attention to a minor mid-weeker out at Sandown. But the TV news and press were out in force today. Punters were wandering around in shock, even disbelief, about the investigation into Pete, Kav, and Danny over elevated cobalt chloride levels in some of their horses. Pete looked a bit stressed and was back on the smokes. I would be too if I had long lenses looking at me! Erythropoiesis. Now there’s a good word. Cobalt chloride stimulates erythropoiesis, or the production of erythrocytes, or red blood cells. Red blood cells carry oxygen. More oxygen means less lactic acid, more endurance, less fatigue. This story has a long way to go. I feel tired already.